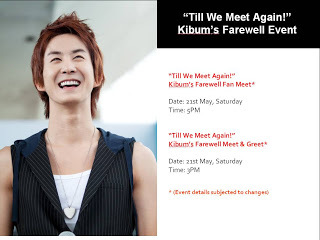 HomeUncategorized[UPCOMING EVENT] U-kiss Kim Kibum "Till We Meet Again"
Great news to KISSMEs! Warner Music Singapore is going to organize another event – Kibum’s Farewell Party. It’s really sad to see Alexander and Kibum leave U-KISS. Hence they are hoping that they can help Kibum organize a proper Farewell Party, so that he, as well as KissMes, can have a fun and enjoyable time together. At the same time, KissMes will have a chance to give your encouragement and blessings to him for his future endeavors! This is by far, the ONE and ONLY Farewell Party organized for Kibum, therefore we hope for your support in making it a success! **Packages are limited to 450 fans only, on a first come first serve basis. Please note that all orders are taken on a FIRST COME FIRST SERVE basis. 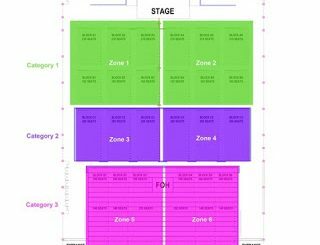 Place your order ONLY if you are really keen on going, so as not to deprive others of the chance of seeing their idol. ** For those who cannot make it for the two dates mentioned previously, WMS have added one more date for Sales, which is 9th May Monday. Overseas Fans: You will be informed on your Payment Method via Email. 1. Please bring along your NRIC for verification purposes. 2. Should you be unable to come down personally, kindly email in to [email protected] to inform us of the person whom you will be authorising to collect on your behalf. 3. 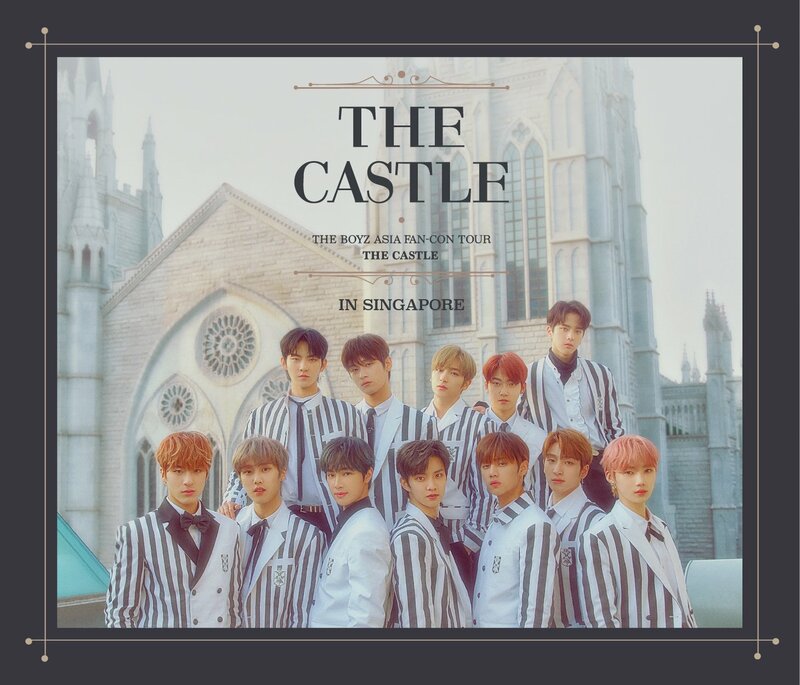 Upon payment, you will be issued an Official Invoice from Warner Music Singapore. Please keep the Receipt well. Tickets and Poster will be collected on Event Day itself. Collection Details will be updated soon. Overseas Fans are welcomed to take part in the Pre-Order as well. Please indicate in your email the country you are from and your Passport Number. A gentle reminder to send in your Pre-Order ONLY if you are really keen to attend. Let’s make this party a great one for Kibum and KissMes!